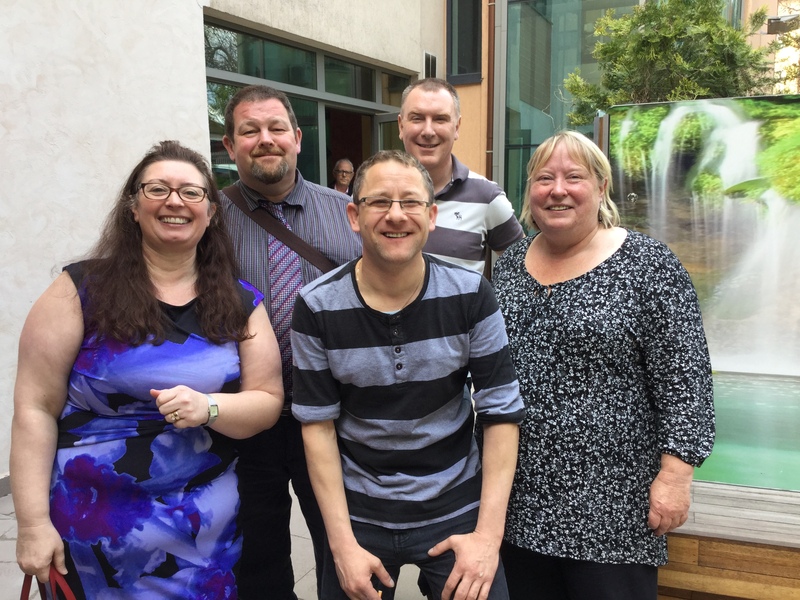 SUE reps, David Marsden, Artur Sobczak and Donna Rowe-Merriman were part of a UK delegation to the 2015 event on Multi Cultural Team Working that is part of a project organised by the GFTU. The event that took place over 2 days in April 2015 was designed to share best practice across trade unions from a number of different countries. Delegates attended from Poland, Lithuania, Bulgaria, Turkey, Spain, Serbia, Montenegro and the UK. The topics discussed included the need for greater understanding of equality and diversity issues amongst colleagues from trade unions across Europe and how trade unions can campaign together on these issues. Based on the discussion about maternity/paternity rights this is very similar in EU state members but very unequal outside of EU We also looked at what impact this can have on understanding the different cultural contexts in which we operate at a pan-European level. It was acknowledged that whilst there are EU laws on equality, the different cultural contexts also need to be given consideration. One example was a discussion on what ’conflict’ means. Most delegates referred to conflict resolution in the workplace, however, colleagues from Montenegro stated that when they hear the word conflict, one of the first things that springs to mind is war and the devastating impact of conflict in their recent history. It was also interesting to hear about the ‘Labour Codes’ that exist in some other EU countries that had communist governments before 1989 and how they protect workers rights. The second day included a discussion on European Work Councils, the legislation that covers them and how it should be applied. We discussed the many ways that employers seek to undermine TU’s from different countries and there was a consensus that there needed to be greater training for TU’s who have delegates to these forums. Delegates agreed that there as a need for TU’s to work together to achieve common aims and to force employers to examine how they treat employees in different countries working for the same employer. The event provided an insight into the work of our colleagues across the EU that was extremely helpful, and it was a timely reminder of the brutality experienced by our brothers and sisters in Turkey as well as the jailing of trade unionists in Spain.